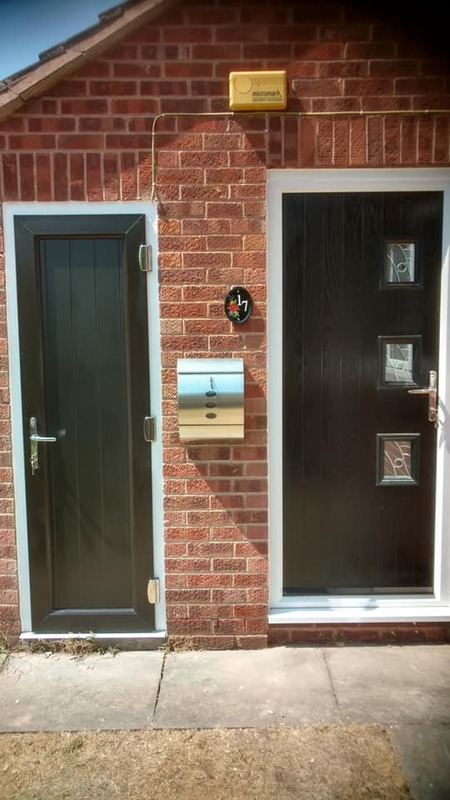 Here at Bespoke Door Installations a lot of the doors that our team provide are for peoples homes, replacing their old front or back door with a brand new, top quality composite door. However, sometimes we like to do something a little bit different. Recently our team have provided two doors to a customer, with a front door & outhouse door fitted in Nottingham. 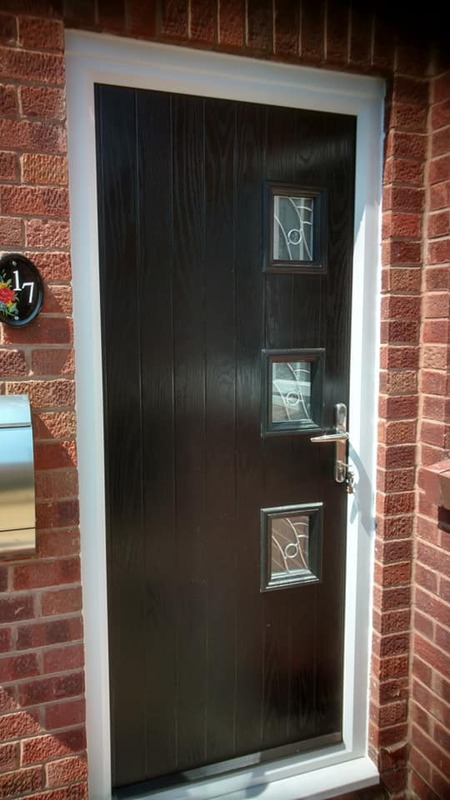 In this situation the customer came to us looking for a brand new front door, and chose a stylish black brown composite door complete with 3 square window panels, set within a lovely contrasting white frame. This isn’t all though, they were also looking for a new door for their outhouse, and so they asked if our team could do anything for them. Ordinarily we don’t work with UPVC doors as composite doors are the superior quality product, however in this situation a UPVC door made perfect sense for their outhouse, so we were more than happy to source a UPVC outhouse door in a matching colour, and fitted that for them too. For the front door, the home owner also received all of the fantastic benefits that come with every composite door. This includes increased durability, great style, enhanced security, and even extra energy efficiency keeping draughts out and heat in much better than a standard UPVC or wooden door. Furthermore, as part of our own secure guarantee, the homeowner will receive £500 of cashback if the composite door is ever broken in the event of a break in. Additionally, as with every door we fit, it was fitted for free, and we also take your old door off of your hands, disposing of it for you so that you don’t have to worry about finding a way to get rid of it. See below for some photos of the fantastic black brown front door & outhouse door fitted in Nottingham by our team. 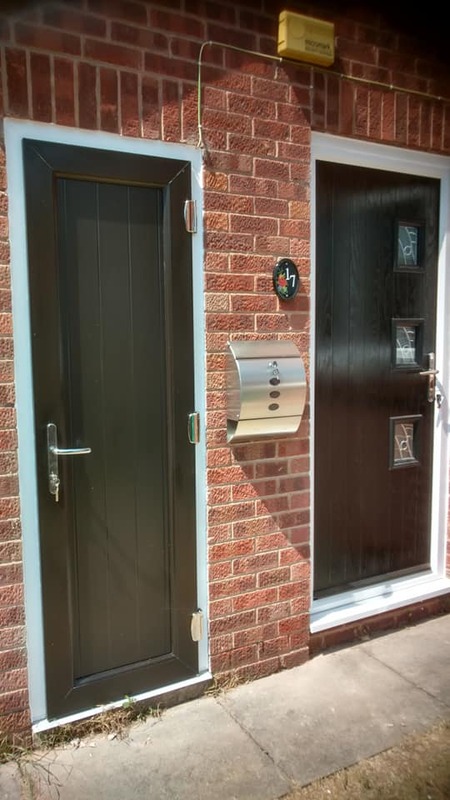 For more information regarding the genuine composite doors fitted in Nottingham and all across the region by our team, please don’t hesitate to give us a call today on 01623 325000, or why not give our design a door tool a go and create your very own bespoke door.